The National Chairman of the All Progressives Congress, Chief John Odigie-Oyegun, has asked the Governor of Imo State, Rochas Okorocha, to do a self-assessment because there is a united voice against his style of governance in his state. Odigie-Oyegun said this in an interview with reporters in Abuja, on Sunday. He was responding to questions about allegations levelled against him by the Imo State Governor. The governor had alleged that his travails in the hands of some party stakeholders in his state were orchestrated by the APC National Chairman because he (Okorocha) opposed the tenure elongation earlier approved for the party leadership. 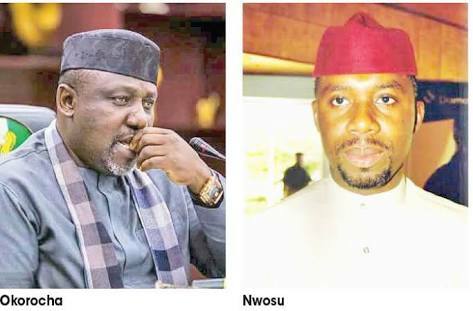 The party chairman equally wondered why Okorocha, who was not even the most vocal opponent of the “so called” tenure elongation, was the only one who is being allegedly singled out for a witch-hunt.